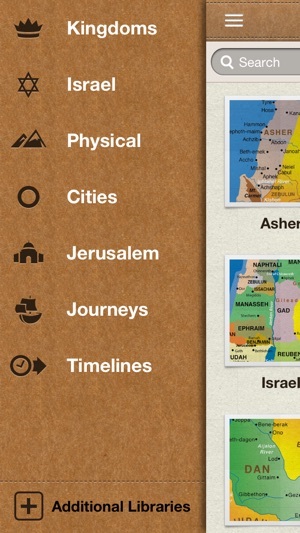 If you've ever wanted beautiful maps to help bring the Bible lands alive, your wait is over. 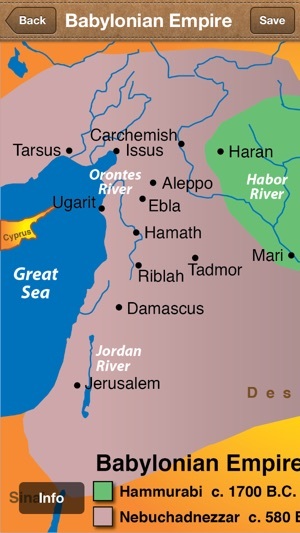 MANNA Bible Maps PLUS brings the study of the Bible alive with 86, full-color maps of the Bible lands as well as 13 timelines. This app also features a powerful search engine so you can find the location of a city or site. 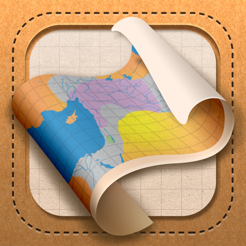 The app comes with detailed information about each map and all the cities, sites and features on the maps and timelines. Need a map for a presentation or a class you're teaching? These high resolution maps will fit the bill. 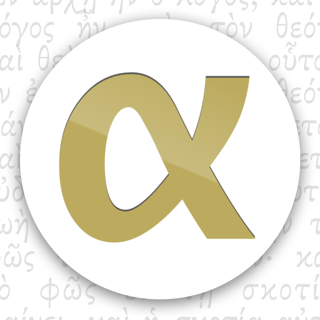 Insert them in PowerPoint or Key Note or print them in high resolution color. The free app comes with 12 maps and 2 timelines so you can see for yourself what the app has to offer before you buy. 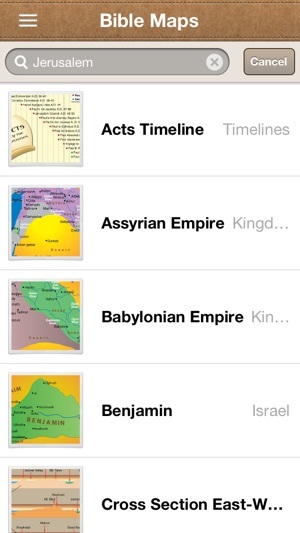 You can buy individual libraries of maps (Kingdoms, Israel, Cities, Timelines, etc.) or all of the libraries for a reduced price. The version provides support for iOS 9. A few fixes were made in this latest version. I downloaded the app to my iPhone, it installed fine. The app was what I had been looking for so bought the rest of the maps and charts after just a few minutes of exploring. I downloaded it onto my iPad but when I tried to restore the purchase to get the upgrade, I got an error message that told me to try the restore later. I tried for a couple of hours off and but no luck. I emailed the developer. He emailed right back with some suggestions. Those did not work. He then suggested I do a hard restart on my iPad and log back in to iTunes. It worked. Thanks to Matt for quick customer support and beautiful functional app. The information page on each of the charts and maps was an added bonus. 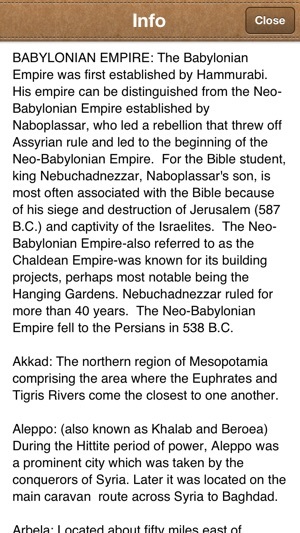 I always refer to maps when reading it studying the Bible- and am disappointed with what Bibles provide. This app is so good. Every kind of map you could want and on groups to make locating the easier. Also you can do a search of a term and find it faster. And if the map wasn't enough, the info at the bottom of the 'page' gives further clarity & insight. But best of all it is on you phone for easy access. And the iPad version being bigger is even better. Cost? Buying the whole packages us much cheaper than several map packages I've gotten thru the years at bookstores. Bottom line- this is a no brainier purchase of you want to really profit from you Bible study. I know this is LONG- but the app deserves it. 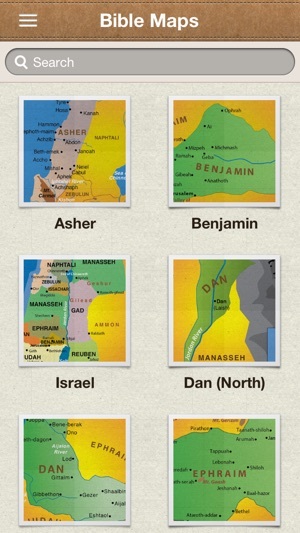 I use Bible Maps Plus for personal study as well as teaching an Acts class. To user interface is intuitive and logical. The maps and timelines are excellent. I use an iPad connected to a projector for class work and the images scale nicely. Printing and saving to the camera roll is integrated into the iOS. I recommend buying all the libraries. Thanks for the most recent update!